These ideas must have returned to his mind in 1950 when he gave permission for his top scientific advisor, Sir Henry Tizard to set up a Flying Saucer Working Party. This had five top ranking members from the intelligence branches of the Ministry of Defence, War Office, Admiralty and Air Ministry and when necessary was able to consult with Fighter Command and the Meteorological Department. After examining several UFO cases they took advice from the CIA’s chief scientist, H. Marshall Chadwell to fall in-line with the US policy to debunk sightings. ‘What does all this stuff about flying saucers amount to? At a later meeting, The Second Sea Lord, Sir John Jellicoe stated that a German Parseval-type airship had flown over Sheerness. 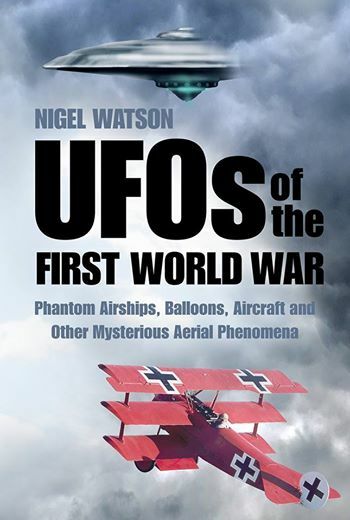 When Mr Asquith, the Prime Minister, asked for evidence to support this claim, Jellicoe said that on the previous day to the incident, an airship had left Germany. This was probably a reference to the L.1. Zeppelin. Churchill supported him by saying that other sources confirmed that a German airship had been responsible. One theory is that this so-called Sheerness Incident was hoaxed by popular aviator Grahame-White and Churchill to show how vulnerable Britain was to the German Zeppelin threat. Whatever the cause of that sighting, in the following year, thousands of people throughout Britain claimed to see the lights of the mysterious German Zeppelins at night surveying the towns and countryside. In response to this nationwide airship scare, the Home Secretary Reginald McKenna rushed through Parliament the Aerial Navigation Act 1913, which gave permission to the authorities to shoot down aircraft in prohibited areas. Many of these prohibited areas were located where the ‘scareships’ had been seen, so it was perhaps an attempt at reassuring the public that something was being down about the aerial threats from abroad. Those who wanted more vigorous action were quick to point out that Britain did not have the weapons or resources to actually enforce these new regulations. At least the Act had the impact that Churchill would have loved, of making us aware of what might lurk in our skies, whether it be enemy invaders or aliens from outer space.